A beautiful spirit keeper made by a very talented Cherokee artist. If you wish to have a spirit help you, Native Americans believe you must provide a home for the spirit to live in. This place is called a Spirit Keeper. Ask the spirit of your choice to help you, it will then stay until the need is met. 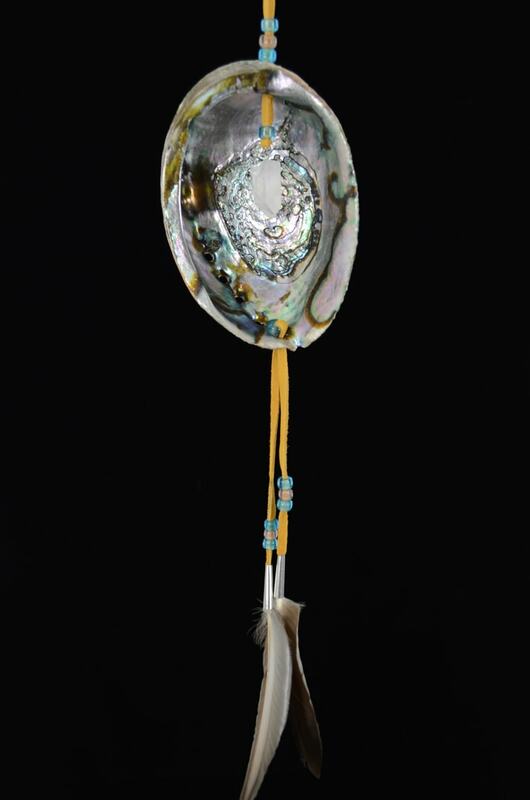 This Spirit Keeper has a beautiful Abalone shell with a quartz crystal and glass beads. 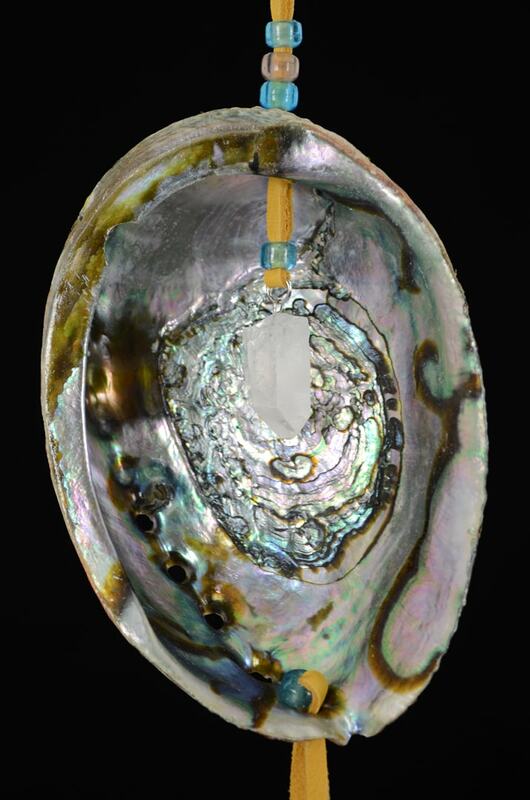 Bead colors may vary from piece to piece and the shells will have natural variations. If you'd like a specific color set please contact us. The current batch of these we have use RED Abalone not Blue as photographed. We will update the photo soon. The main difference is the interior of the shell has more pink and green hues as opposed to blueish. They are very beautiful.